Merry Little Christmas is Jane Farnham's debut Dashwood collection. 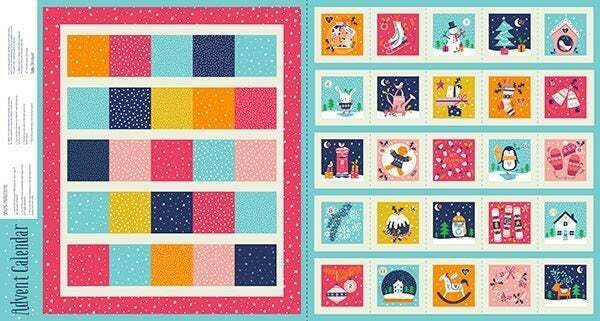 A bright festive collection featuring gingerbread, crackers, penguins and stockings with a vintage feel. The finished calendar will be approx 20 inches x 23 inches (50cm x 58cm). Great service and delivery. Regarding the product itself, the fabric is slightly thinner than the Makower advent kits and moves/stretches under a walking foot even when well basted.